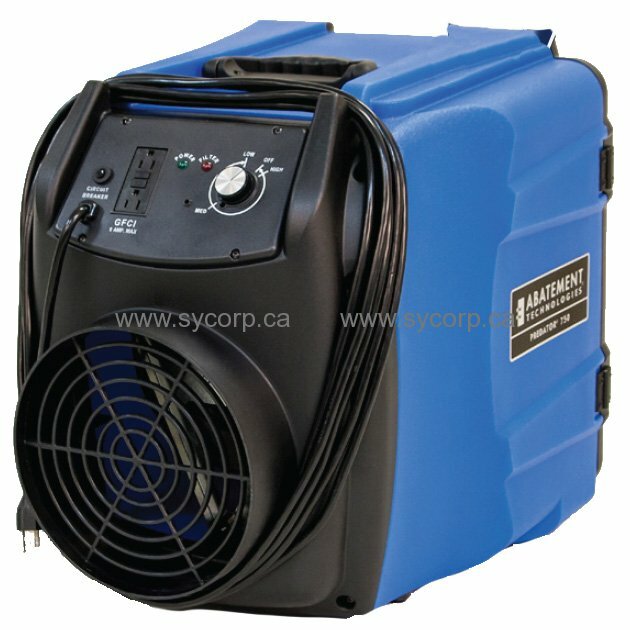 For years the PREDATOR 600 portable air scrubber from Abatement Technologies® has been widely recognized as the best available for containing airborne dust and maintaining negative pressure during construction, renovation and remediation projects. The revolutionary new design of the PREDATOR 750 model now takes this performance, quality and reliability to an even higher level. Variable speed airflow, with maximum rated airflow as high as 750cfm – almost 25% higher than the PRED600 – give users even more clean air changes per hour (ACH). A special double wall cabinet and combination rotational molded and injection molded cabinetry provide the precision and ruggedness to stand up to even the toughest jobsite conditions. A one-plug electrical connection makes it easy to access the motorized impeller or control panel for cleaning and maintenance or in the unlikely event that repairs are needed. 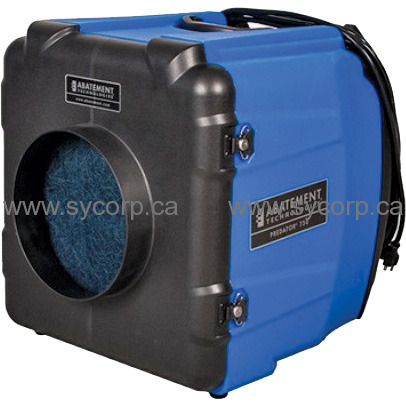 No other device provides such easy access for fast pre-filter and HEPA filter replacement. A robust gasket protects against pre-filter bypass and the rigid, dual wall sealing surface ensures that contaminated air can’t bypass the HEPA filter and compromise the filtration efficiency of the device. The ultra- compact, lighter weight cabinetry, integral ergonomic lift handle and perfect weight balance make it a snap to hand carry the PRED750 to, around and from the jobsite. Only PREDATOR roto-molded body components are made from a resin with a UL94HB flammability rating, microbial growth & UV inhibitors and an easy-to-decon TEFGARD® surface finish.